To mark the release date announcement, Codemasters has released a hot lap video using work-in-progress in-game footage featuring the Hungaroring circuit which is set to stage the FORMULA 1 MAGYAR NAGYDÍJ 2013 this weekend. The video shows Toro Rosso–Ferrari’s Australian driver Daniel Ricciardo taking on the famous circuit and is narrated by Anthony Davidson, former FORMULA ONE™ driver and Technical Consultant on F1 2013, who describes how drivers should attack each corner and carry as much speed as possible through the tight and twisty track in the battle for points this weekend. F1 2013 will feature a new gameplay mode called F1 Classics giving fans the chance to race classic cars on iconic circuits against legendary drivers for the first time in Codemasters’ award-winning series. F1 Classics features a new fictional racing series allowing players to race cars, drivers and circuits from the 1980s. Classic content is also available in a range of other game modes, including split-screen and online multiplayer modes. Further content will be available in a premium edition of the game, F1 2013: CLASSIC EDITION, featuring 1990s Content and Classic Tracks. 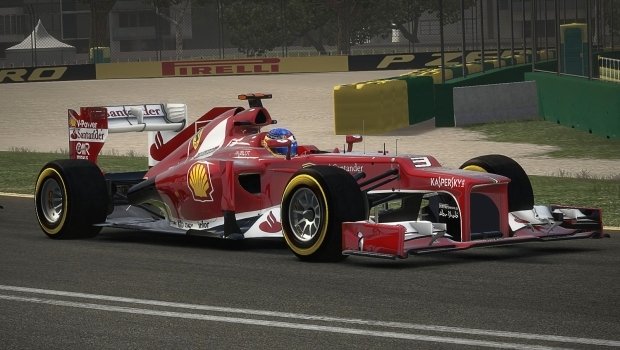 These two packs will be made available for purchase as optional DLC for players of F1 2013. F1 2013 will also feature all the cars and stars from the 2013 season, allowing gamers to race as Lewis Hamilton in his Mercedes and Sergio Perez in the McLaren-Mercedes for the first time, and includes all of the rule changes, tire changes and remodeled handling to authentically reflect the challenge and exhilaration of racing 2013’s stunning roster of cars. A range of enhancements, improvements, split-screen and online multiplayer, plus new and returning game modes deliver the most complete simulation of a FORMULA ONE season in videogame history, with more detail to be revealed. We’ve got the video to share below, but you can visit their official YouTube page for MANY more videos, including a look at the Classic mode mentioned above. Look for F1 2013 on Xbox 360, PS3, and PC on October 8th.